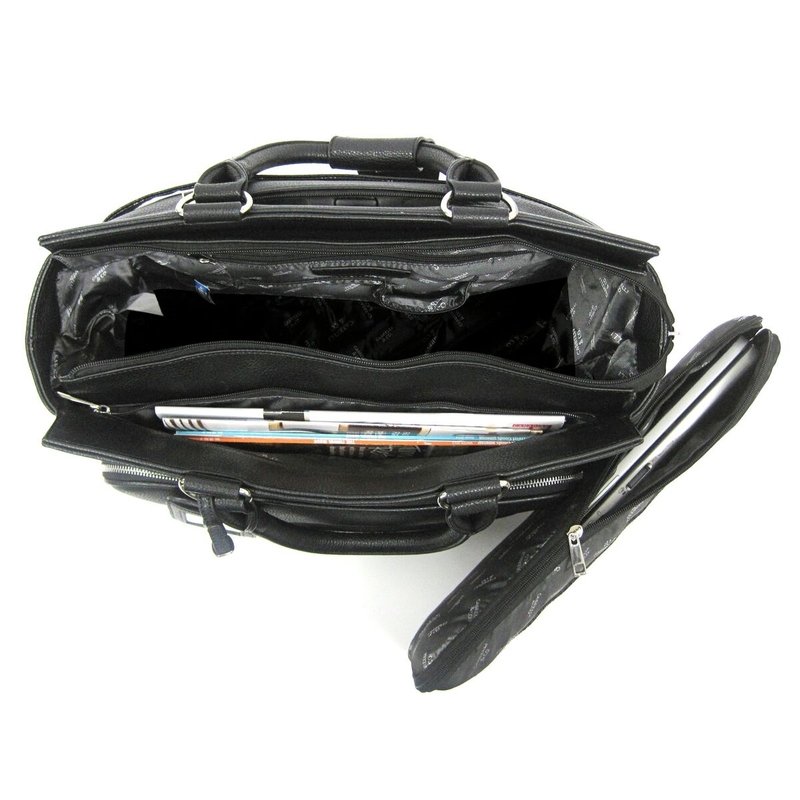 SIZE: 18" x 14.5" x 7"
LAPTOP COMPARTMENT SIZE: 15" x 10" x 1.5"
Perfect for the daily commute or occasional travel, this rollerbrief offers an easy and stylish way to carry your laptop and other essentials. 1 year limited warranty on manufacturer's defects for repair or replacement. Proof of purchase required. This is a new, unused item. BaggageBuy is an authorized retailer of Cabrelli Bags.